W. W. Norton & Company, 9780393078008, 272pp. Healing Yoga unites medical knowledge with the practice of yoga to help treat twenty common conditions, including headache, weight gain, the common cold, scoliosis, PMS, stress, depression, and eight different types of back pain. Dr. Fishman shares techniques he has invented, refined, and validated with thousands of patients, including detailed pose instructions and accompanying photographs. He walks readers through not only healing but also diagnosis of specific medical conditions, especially back pain, when there is more than one source of trouble. 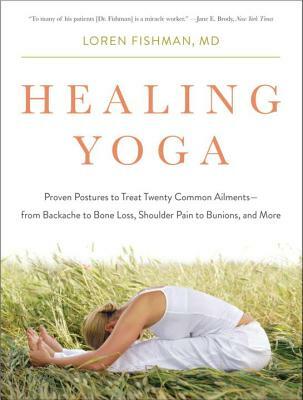 Suitable for both beginners and experienced yogis, this book is an at-home guide to a renowned doctor's expertise.